Denton Texas is home to the North Texas State Fair and Rodeo but that doesn’t mean its residents want their homes to look like the Wild West. Denton residents take pride in making their homes and offices lovely, tasteful, and eye-catching. Our custom designed stained glass windows and doors are fantastic for homes, offices, commercial spaces, and of course, religious institutions. 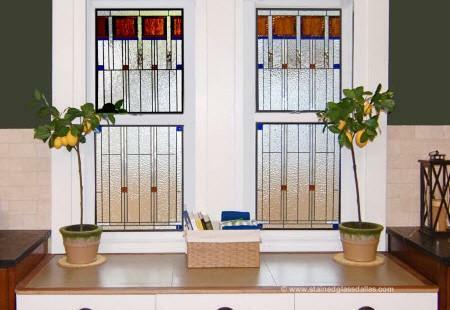 Why add stained glass to a home? For beauty, uniqueness, a dose of style, to create a focal point in a room, to express your personality and love of art, to add value, to ensure more privacy without blocking the natural light, and perhaps even to replace an ugly view with something much more beautiful. 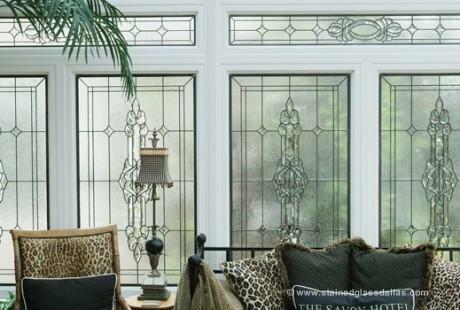 You choose the style, pattern, and glass for your stained glass windows, we build and install them. Popular places in Denton homes for stained glass include the bathroom, the entryway, the kitchen, the hallway, and anywhere else there are windows or doors that need an aesthetic boost. Let us design custom commercial stained glass for your office, restaurant, bar or pub, hotel or conference center, or even a municipal space. We can create custom stained glass in any style, from antique to modern, from elaborate to simple, from wildly colored to sedate or even colorless. Work together with our designers to create the perfect stained glass windows or doors for your business and show off your great taste. Many commercial clients like to have their business name in a stained glass panel that can be installed in a front window or door, or even as a hanging panel or backdrop behind a bar or counter. Get some more great ideas by looking throughout commercial stained glass photo gallery. Because each piece we create is custom designed, we can do any style or any kind of look you like. Many churches, chapels, and temples in the Denton TX area already have stunning stained glass, like the Immaculate Conception Catholic Church on N. Bonnie Brae. We work with religious institutions of any denomination to produce custom stained glass religious art. We have extensive experience with traditional church stained glass featuring saints, icons, religious symbols, and biblical scenes. We’ve also created many more modern and less representational stained glass windows for churches, featuring abstract or geometric designs. We also do stained glass repairs and restoration on projects small and large. Please contact us for more information. 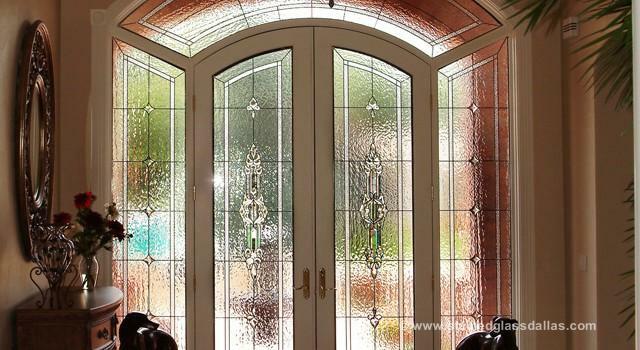 We come to you to work out the perfect design for your stained glass windows or doors. Our methods combine the modern (CAD software to create an exact blueprint) to the traditional (hand cutting and assembling each piece of glass) and our installers are top notch. You will not find a more carefully and lovingly created stained glass anywhere, not in Denton or anywhere in the country.